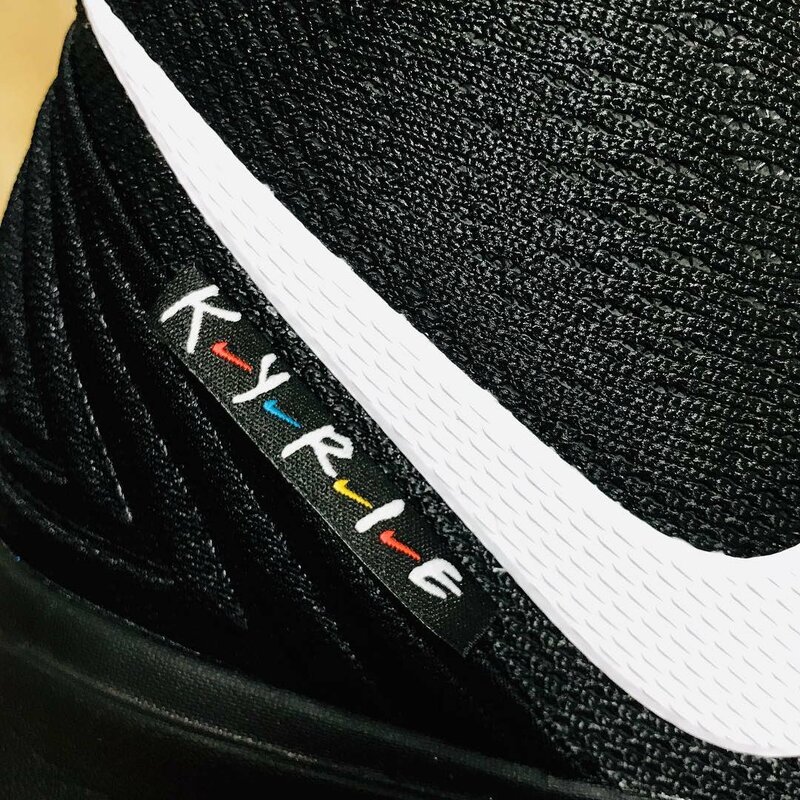 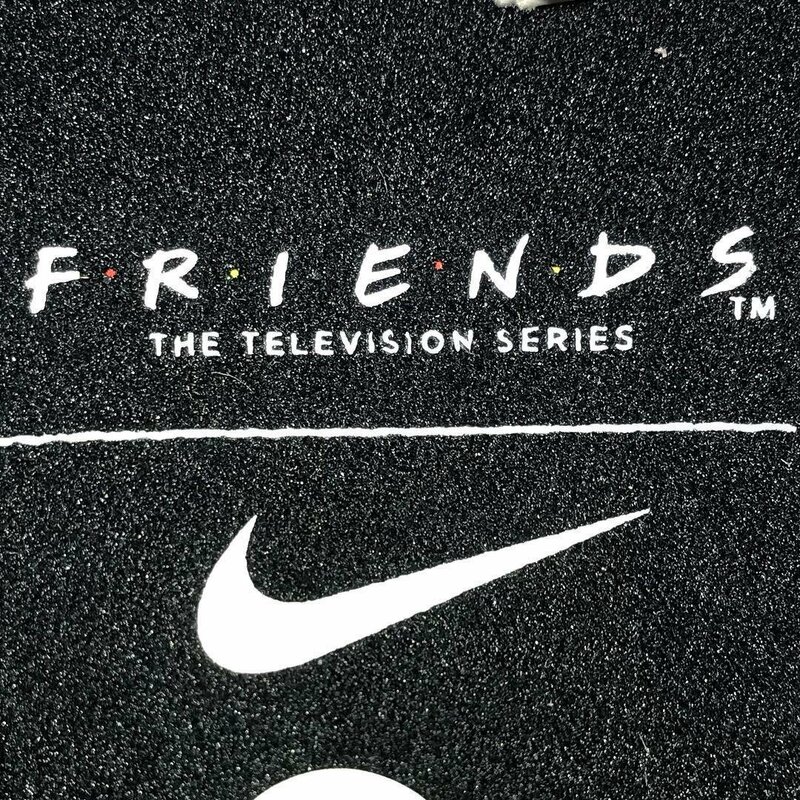 In honor of the hit tv show, Nike and Kyrie Irving reportedly have plans to release a "Friends" version of the Kyrie 5 this Spring. 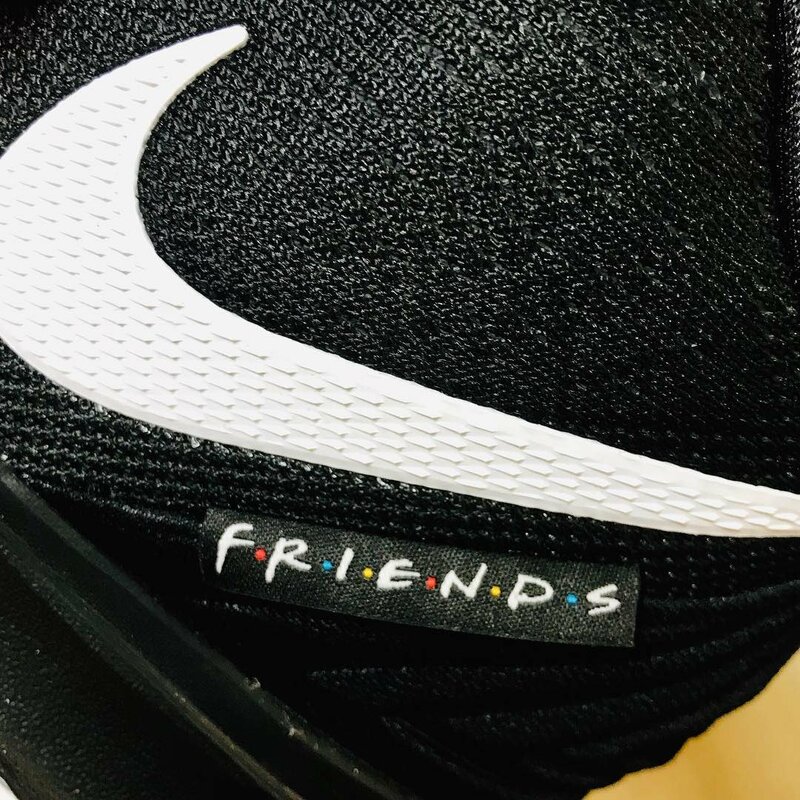 Rumors of the "Friends" Kyrie 5 release surfaced earlier this year but the sneakers have popped up again, giving us a good idea of what to expect when they release. 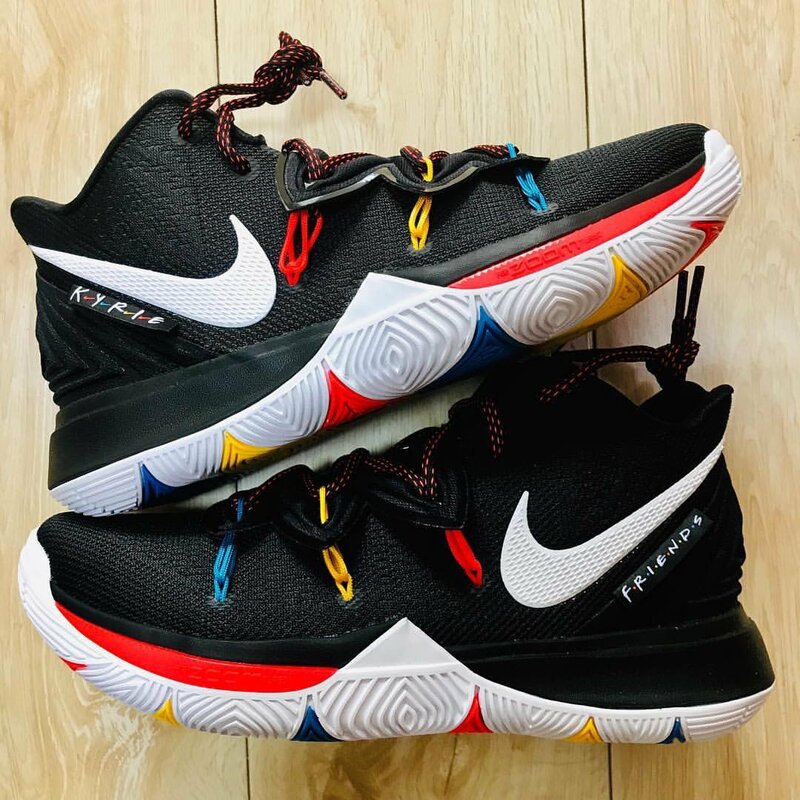 As seen in the latest batch of images that surfaced today, the kicks sport a black upper, equipped with blue, red and yellow accents.